Georges Paragon Seafood Restaurant is located in Sanctuary Cove as well as another Georges in Southport. 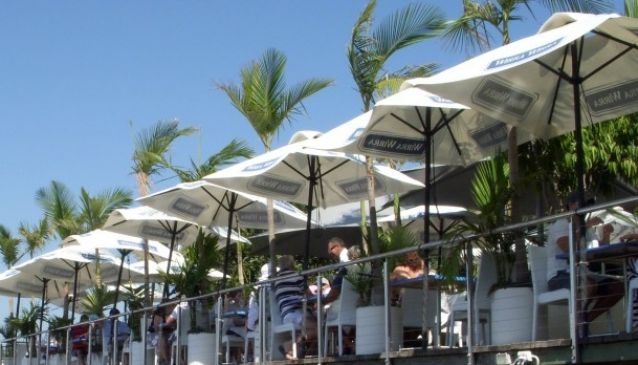 Georges is a local favourite renown for its fresh seafood, half price lunches and early dining options. The decor is clean and crisp with white linen table cloths with a blue cloth over the top. The chairs are white cane and together with the green plants creates a welcoming atmosphere. The staff wear white shirts with black bowties and are friendly and professional.